OPPOSITION United Party for National Development (UPND) has asked President Edgar Lungu to stop skating around the issue of much needed national dialogue. Party spokesperson Charles Kakoma in a statement said UPND President Hakainde Hichilema had been committed to a dialogue process with no conditions despite the PF skating around the process. “Yesterday, the Patriotic Front Secretary General Davies Mwila announced that the PF will work with the Zambia Centre for Interparty Dialogue (ZCID) to appoint eminent persons to sit on the steering committee on national dialogue. That statement is meant to sabotage the national dialogue process being spearheaded by the three church mother bodies. It will take the nation many steps backwards in trying to achieve peace and democracy,” cautioned Kakoma. Kakoma said PF and ZCID are basically establishing a parallel structure for national dialogue, away from the jointly agreed national dialogue process led by the three church mother bodies in Zambia, a clear demonstration that the PF is not committed to peace and democracy. 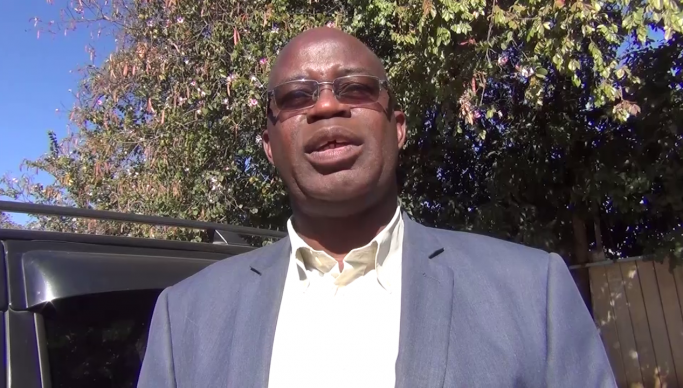 He said his party was aware of the schemes by President Lungu to keep on skating around the process by continuously stating that he is committed to the process but avoiding all avenues made available by the church. “Edgar Lungu recently unsettled the three church mother bodies when he issued an unpalatable statement that he would not take part in any talks without the ZCID. He knows too well that he has a lot of patronage from “nashala neka and chipante pante” political parties who make up the majority of membership of the ZCID and are under his wallet,” he said. “Our question to the ZCID is: where were you when the country’s peace was hanging on a thread and a balance following the arrest of UPND President Hakainde Hichilema? Why did you fail to denounce the PF government for the injustice that they committed over the fake treason charge slapped on HH last year?,” questioned Kakoma. Kakoma added that it was common knowledge that a huge undertaking such as steering the dialogue talks intended to make major Judicial reforms, Electoral reforms and many other institutional reforms required very independent entities, and the church had a proven track record of helping to resolve conflicts of various magnitude without prejudice. “The failure by Lungu to state whether he will be part of the dialogue spearheaded by the three church mother bodies is the key to enhancing the talks that the country desperately needs. The UPND is of the strong view that the country needs healing and that healing can only be achieved when the key stakeholders and political players get to the round table to address the major challenges facing the country,” said Kakoma.